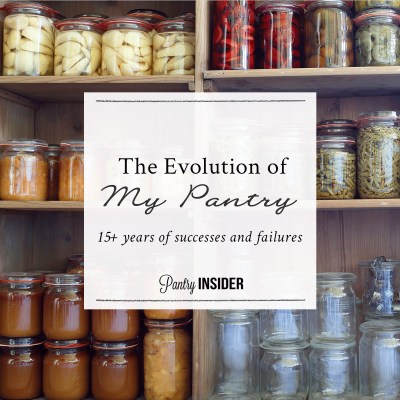 Once upon a time, I didn’t spend very much time thinking about what or how much was in my pantry. After all, if I needed something, I could just run out to the store and get it. And that’s exactly what I did for many, many years. Me: Hey! Want spaghetti for dinner tonight? Me: What’s wrong? Don’t you like spaghetti? Him: (Trying not to hurt his new bride’s feelings) It’s not that I don’t like spaghetti. It’s just that we’ve already had spaghetti 3 times this week… and it’s only Wednesday. Maybe we could eat something different sometimes? What? Spaghetti every night isn’t a well-balanced lifestyle? Some people are sooooooooo picky. So I took my friend’s advice and tried to create a meal plan. I was really good at making a list of food I wanted to eat! That was the fun part. But converting that into a shopping list was so tedious. It’s not in my personality to do anything tedious. Plus, my menu planning “system” wasn’t cheap because I was picking whatever I felt like when I looked through my recipe books. I wasn’t making wise choices and picking food that was in season. I got discouraged and gave up. Me: Hi! It’s me. What do you feel like for dinner? Me: Yeah, that sounds great. Can you stop at the store on your way home and pick that up? And this was happening multiple times a week. Most weeknights, actually. Some time went by and I had another baby. Then the world-as-I-knew-it flipped upside down when the pediatrician said these fatal words: I think you need to put this little guy on a gluten-free diet for a while. Well. Spaghetti was still a major staple in our home. (And bread, and cookies and all the good stuff.) If I couldn’t feed my child wheat, I figured there was nothing left. (Yeah, I can be melodramatic that way). What would we eat? But eventually, I figured it out and discovered an entire world full of healthy grains I had never heard of. (Hello, Quinoa!) And since my husband was a software engineer we could afford to buy any expensive “health food” we wanted. Here’s where my story gets a little crazy. We wanted to raise our children in the country, so we moved away from that house with the wonderful grocery store right down the street. (I was so sad to leave!) As a result, my husband had a much longer commute to work. He wanted to avoid being stuck in traffic and his job had long hours. He was leaving the house at 4:30 am and not coming home until 10 or 11 at night. The only time he saw our children awake was at church! “I’m missing my own life,” he said to me. That first year, after our mortgage payments were made, we had $5,000 left to do everything else. That $5,000 had to stretch to cover a year’s worth of utilities, car insurance, gas, house repairs… oh yeah… and food for 5 of us (because by now I had given birth to our third child). Yes, we were farming, but it takes time for food to grow and we weren’t growing everything we needed. And the following several years weren’t much better. (Support your local farmers, folks! They need it! But I digress…) We didn’t even bother writing a budget at this point in our lives because there was no money to spend! We just spent the absolute minimum possible… I learned where to find the best deals and which foods were both nutritious and economical. People told me, “You can’t possibly feed your family a gluten-free diet on that type of budget” but I had no choice. I had to make it work and I did! 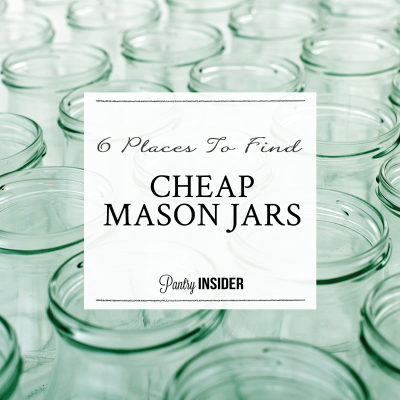 You Can Put Food In Jars? One day a fellow homeschooler who I barely knew came over and said, “My garden is producing way more than I can possibly manage. Can your family eat the excess?” What a gift from God that man and his wife turned out to be! We went to his house and picked up boxes and boxes and boxes of tomatoes and cucumbers. More than we could possibly eat before it spoiled. I had no idea how this generous gift would change my life. At this point in my life, I was scared to death. I thought my husband had lost his mind with this whole farming idea and I had no idea how the farm was going to support us. I wondered, “What on earth will we eat this winter when the garden isn’t producing anymore?” Then I looked at all those piles and piles of cucumbers and thought, “There has GOT to be a way to preserve all of this!” So that same man’s sweet wife taught me how to make pickles. After I had successfully made pickles, there was no holding me back! I learned to make spaghetti sauce, I canned tomatoes and green beans, I learned to pickle summer squash and make jam and fruit butter. I learned how to dehydrate foods. That winter we ate well! We had no money, but we felt like we were eating like kings! I had canned a lot of food, but that’s not all we ate. We still went to the grocery store and bought things we hadn’t grown (like bananas, dried beans, rice, oatmeal, potatoes and other things). Our grocery budget was still super-tight and I quickly learned that I could stretch my dollar the farthest if I stayed out of the aisles at the grocery store. 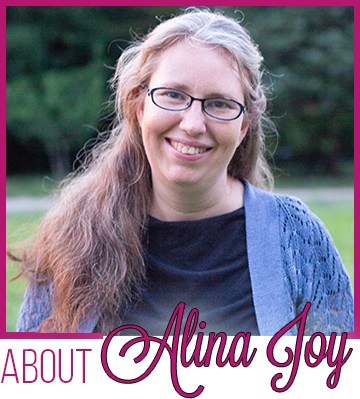 I was buying fresh and healthy food with all the nutrition we needed and I was doing it all for about $140/month. The best part was that we had inadvertently eliminated almost all the junk and mysterious ingredients that we couldn’t pronounce out of our diet because we weren’t buying anything processed! I was spending about 30 minutes a night cooking simple meals from scratch and I wasn’t using preservatives and other things found in processed foods. Our diet had been good before, but now it was very, very pure. Seasons change and our family has changed with them. We now have 5 children. Our grocery budget has a lot more wiggle room than it had in those $140/month days. (And that’s a good thing, because prices have shot up since then!) We no longer have a garden and we count on the grocery store more than we used to. Our goal is no longer just to survive and spend the least amount of money possible and still keep everyone alive and healthy. Now our focus is to nourish our family with the best food possible. But you know what I’ve learned? 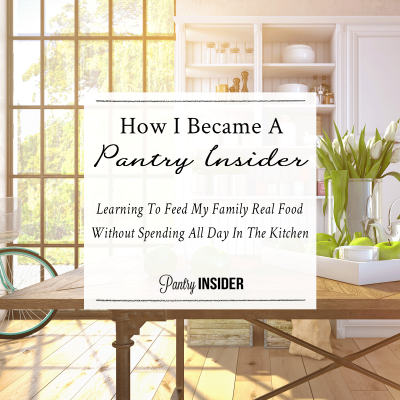 To a great extent, I was already feeding my family the best foods possible back in the $140/month days! There are so many lessons I learned during that time in my life that still serve my family well now. I’ve learned so many things about myself through this journey. 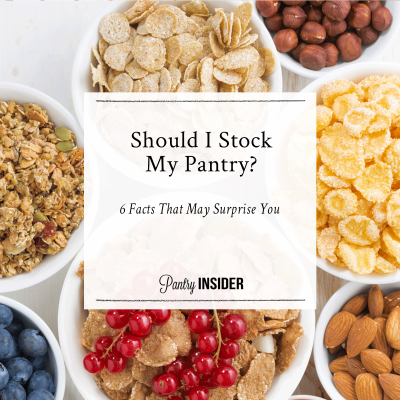 There are lots of reasons to stock a pantry with healthy, life-giving food, but for me the most important reason is that I have a sense of security, knowing that if something disastrous happens tomorrow and we have no money and no job, I can still bless my family with healthy, life-giving food that will nourish their bodies and their souls. Feeding my family well and teaching others to do the same has become a passion for me. My heart actually dances a little when my husband comes home with boxes and boxes of produce that he found on sale. It skips a beat when I open my cupboard door and see jars and jars of delicious, gourmet foods (made by me!) that my family will enjoy. I am humbled when I can see my neighbor having an emergency or my friend having a hard day and just reach into my pantry to bless them. My life is better because my pantry is full of life-giving food. 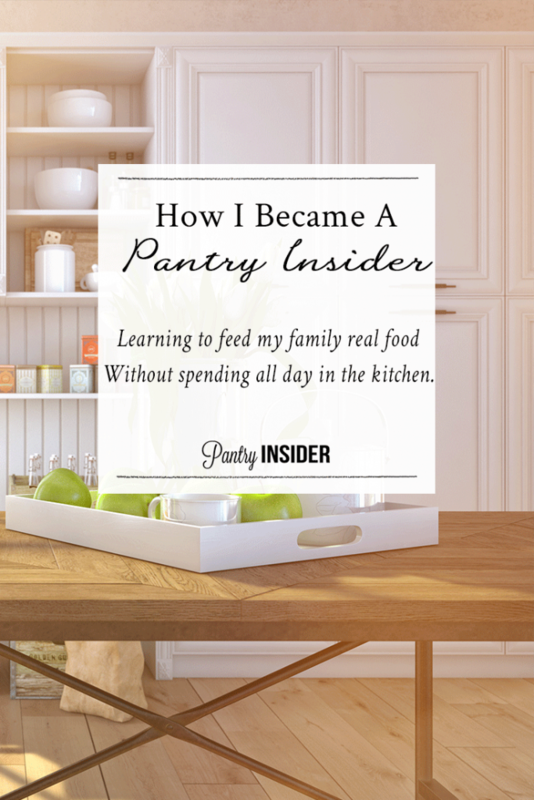 Let me help you create a pantry you love, too. First, sign up for our Free Resource Library. 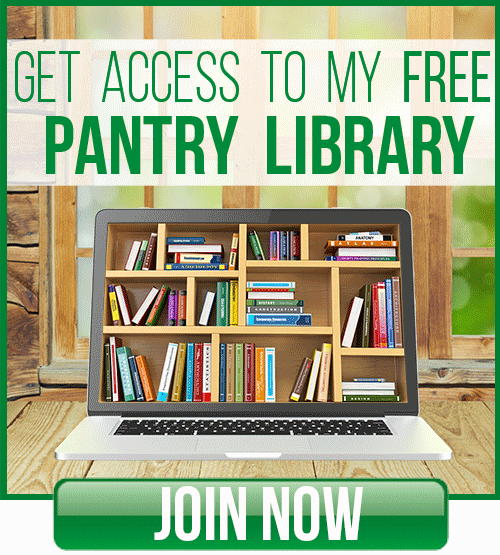 The library is where I put the tools you need to help you get started. 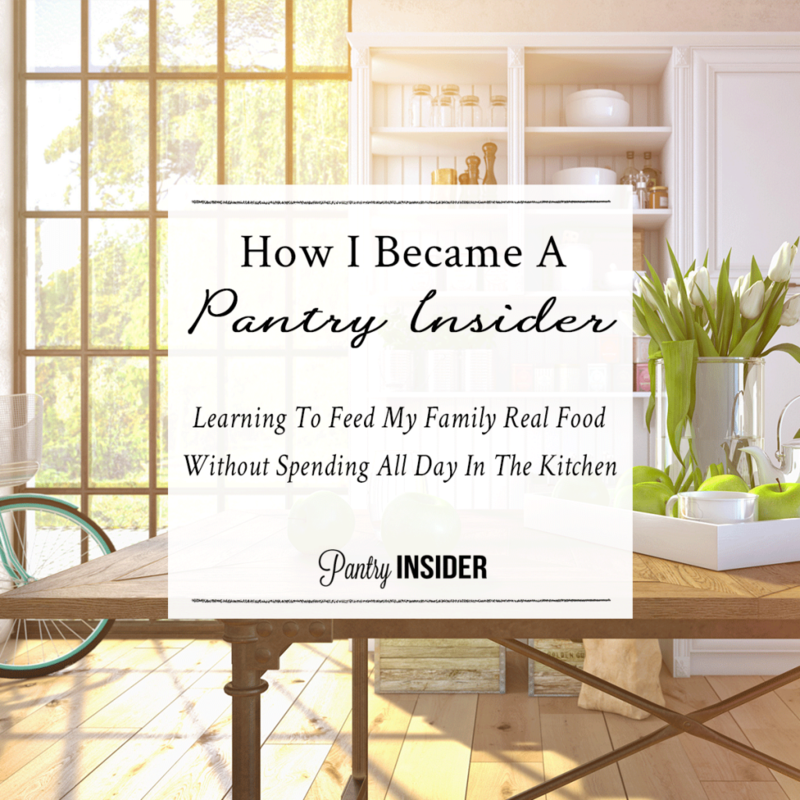 Once you’ve joined, you’ll receive a link to join our exclusive Facebook Group PantryInsider Secrets. This is the best place to ask questions and get whatever help you need! Then, consider taking one of our free Real-Food email challenges (the link is in the library) to really kick things off! Welcome! I am so glad you are here, sharing this journey with me!